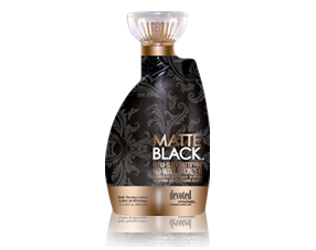 Revolutionary black bronzing formula with deep penetrating black onyx bronzers. Nouritan Technology to help break through your tanning plateau. Zemea 100% Natural, powdery feel. Effortlessly enhance your best features with this velvety soft, highly pigmented, skin perfecting bronzing crème. This ultra-flattering formula utilizes pore minimizing black charcoal extracts and air-whipped, seamlessly silky, contouring agents to give your skin a truly unique, no filter needed, color defining result. Creamy, whipped, fast-acting, auto-darkening, instant bronzer that develops insanely dark results while simultaneously drawing toxins, perfecting skin’s appearance, contouring pesky skin imperfections and leaving you with a mattifyed, airbrushed, highly sought after finish.